Hasbro, the makers of Monopoly, is launching a new "Here & Now World Edition" and is inviting everyone around the world to vote for the greatest cities around the globe. 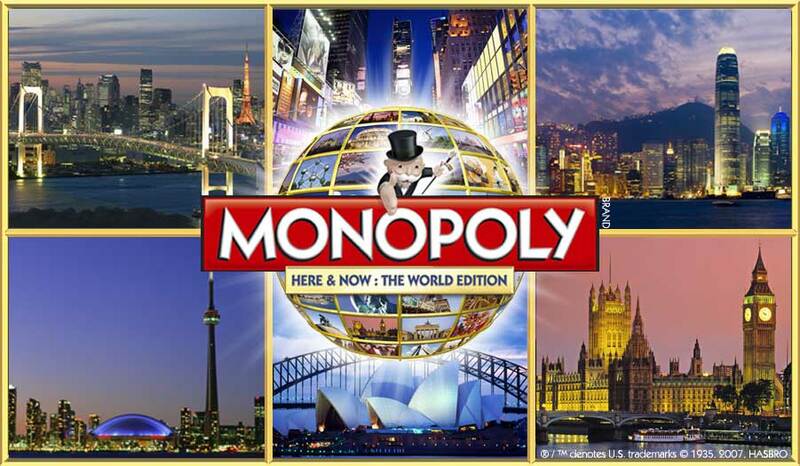 The 22 cities with the highest worldwide votes will make it onto one global Monopoly board. At the moment it's looking like a "Who's Who" of European capitals, with the odd smattering of other countries, but Africa, and more specifically South Africa, isn't fairing too well (it's actually looking better now than it did the other day, but still, it could be better). Please head on over and cast your vote for Cape Town, South Africa. Lets get it up the leader board and onto the "Here & Now World Edition". You can vote once a day until 29 February 2008, so go on. Take out two mins of your day and vote for Cape Town. Update: 2 Feb '08: We're doing well. Up to 8th place.